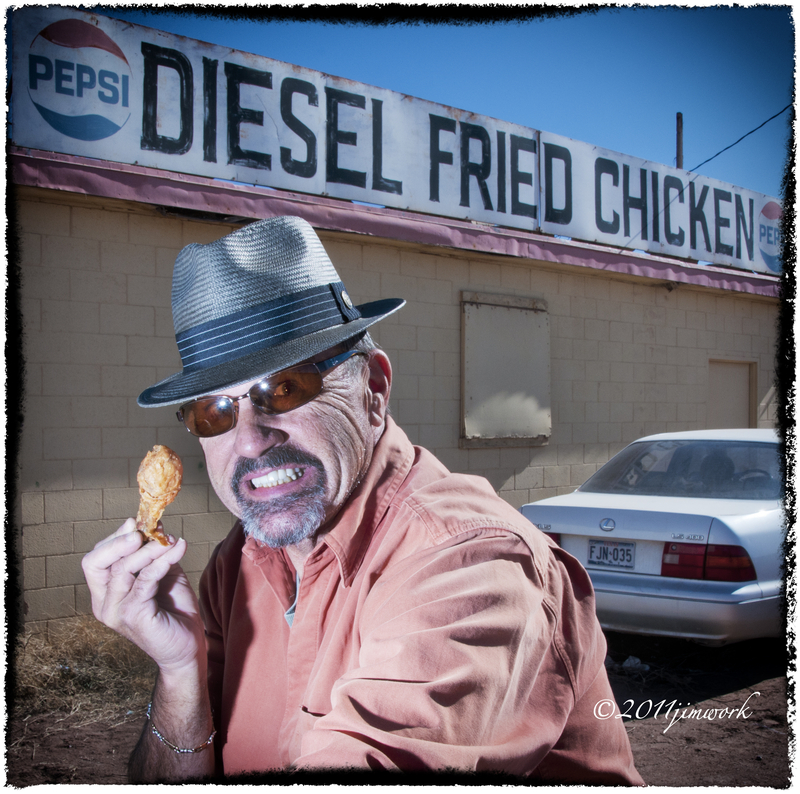 Okay, we Texans will deep fry anything, but it takes a real (dumb) man to fill that deep fryer with diesel fuel and drop in that bird. IT”S DIP STICK LICK’N GOOD ! This sign is on the back side of a convenience store right off Interstate 10 in Van Horn Texas. I think it is meant to say they have diesel fuel and fried chicken. It paints a strange image to me, so I posed with a drumstick and my wife, Susan, made my photo on the start of our New Mexico trip. The drumstick wasn’t bad, thanks for asking!